Owner Says Sell! Price Adjusted - Enquire Today! 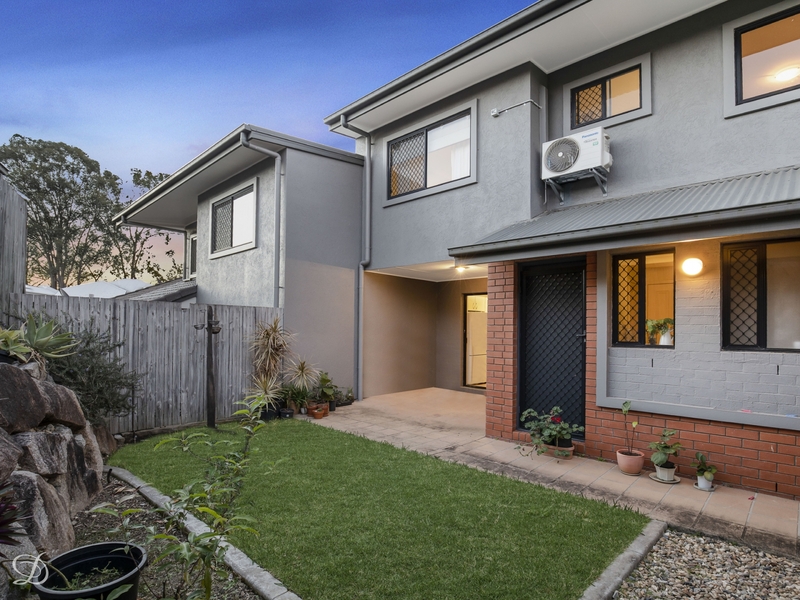 A brilliant low-maintenance lifestyle choice with immediate appeal, this freshly presented townhouse is perfectly positioned for enjoying Mitchelton's great lifestyle attractions. It is presented in top condition with a layout that offers easy living and level access to a choice of two private outdoor areas for entertaining. The interior is smartly appointed with generous and bright open lounge and dining areas that flow easily to the outside. At the rear is a paved dining courtyard and garden that provides a private space to entertain, plus there is a fenced front garden with lawn. All of the three bedrooms have built-ins and include an air-conditioned master suite with ensuite. There is also a modern and well-appointed kitchen with dishwasher and gas fittings, a full main bathroom and internal laundry plus a remote lock up garage with storage space. The amazing convenience combined with being positioned within a well-maintained community makes it ideal for those looking to upgrade their lifestyle while scaling down their maintenance. Please note the furniture has been digitally removed for privacy so the images are indicative only. Please phone Haydn Denovan for more information.